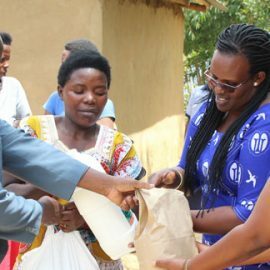 The Mothers’ Union President Mrs. Jacky Mugisha, on 22nd November, 2019 launched a “Nutrition Program” to women and children in one of the Shyira Diocese parishes Ndago which in process of having an ECD. 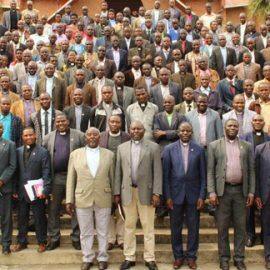 This program will run into all 9 archdeaconries and Shyira health centers of Kimonyi and Buhuga. The women were given milk, sugar, and Nutrition porridge flour. The women were very happy for such kind of gesture of love that the Diocese and Mothers’ Union have shown them and requested them to continue supporting them even after giving birth. The Mothers’ Union president of Shyira Mrs Jacky Mugisha is continuing her journey with nutrition program. On 8th February, 2019 the visit was in Gatare Parish in Rugendabari Archdeaconry, the journey continues.